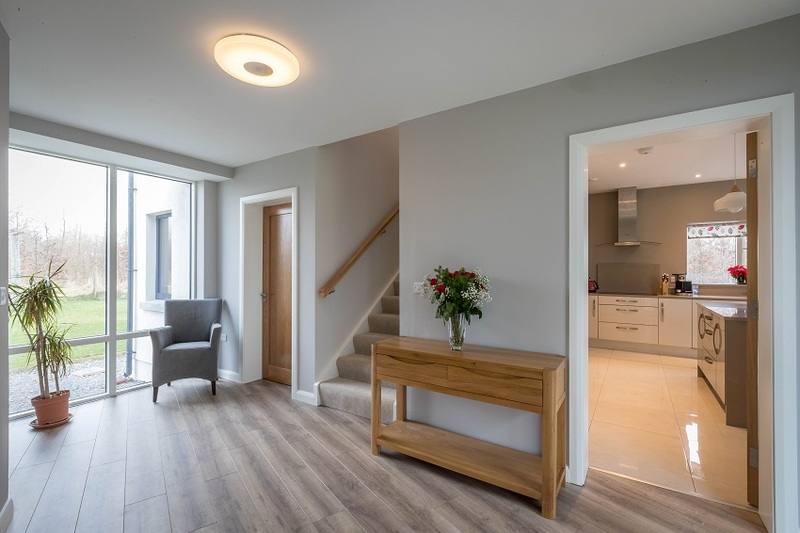 At mckenna + associates our team of Registered Architects, Chartered Building Surveyors and Chartered Construction Managers always enjoy designing and improving the homes in which people live. 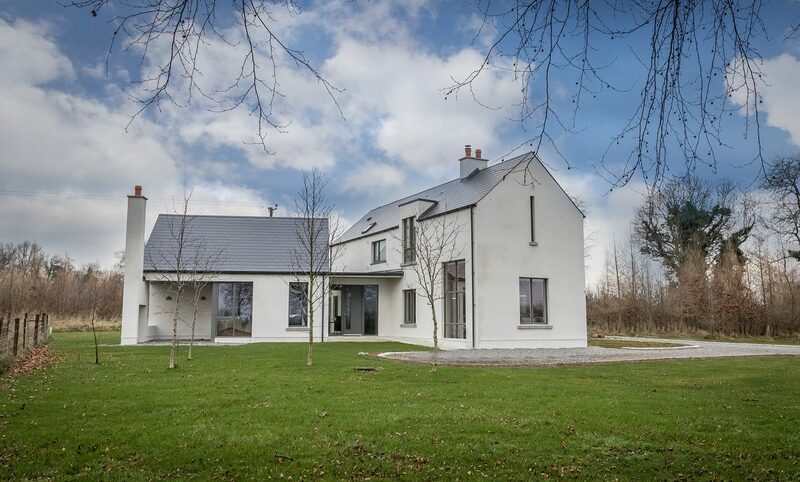 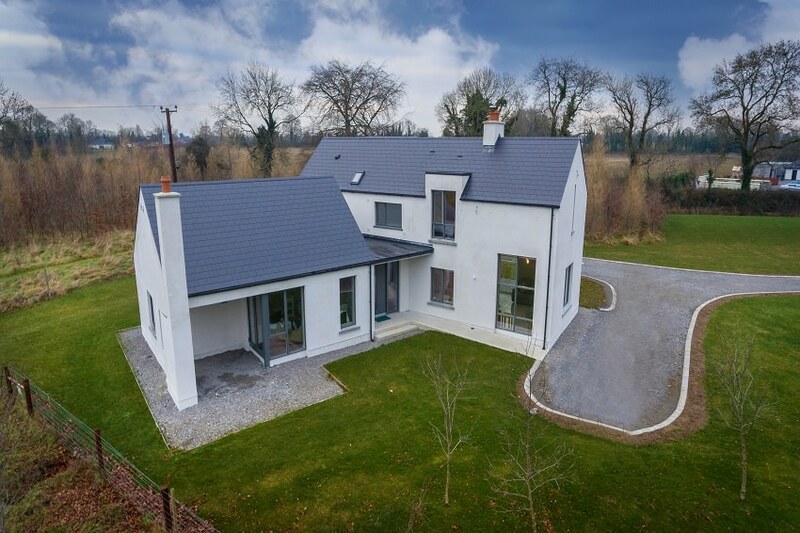 We recently completed this contemporary house design outside Clonard in Co. Meath. 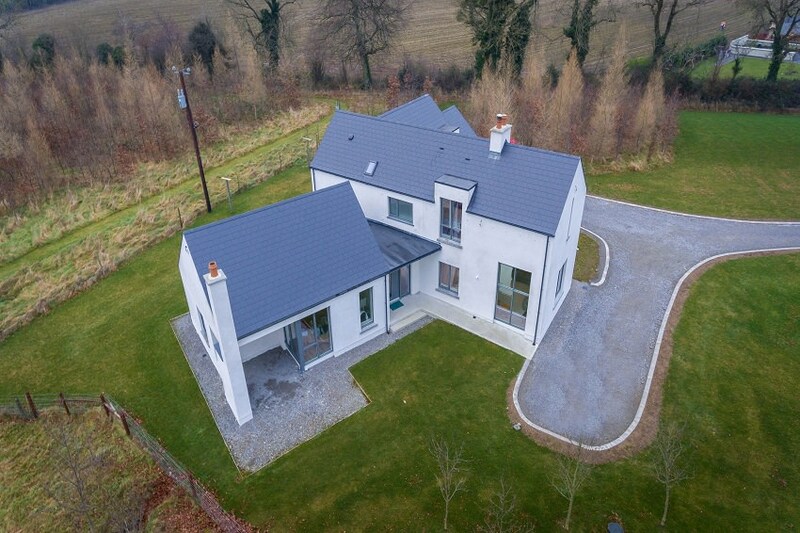 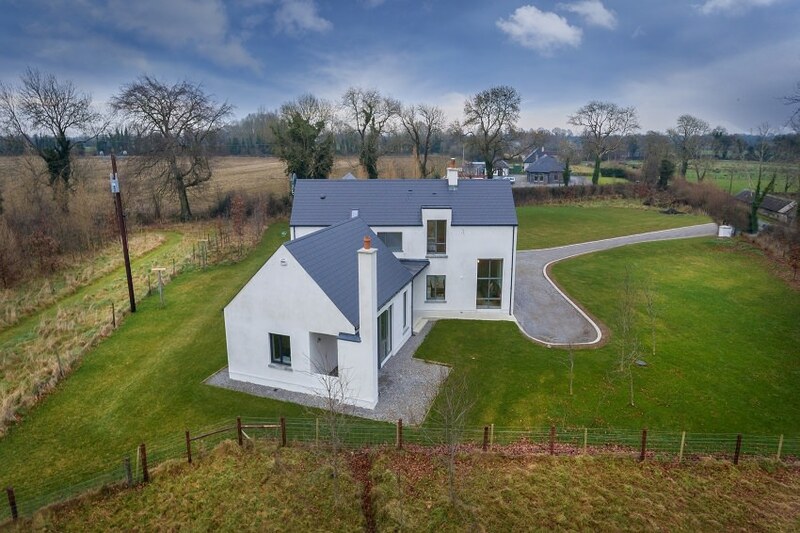 Natural light was a driving concept so the house was designed to find light throughout the day and evening and so the main living areas are positioned to maximise their exposure to the sun throughout the year while complying with Meath County Councils Rural House Design Guide. 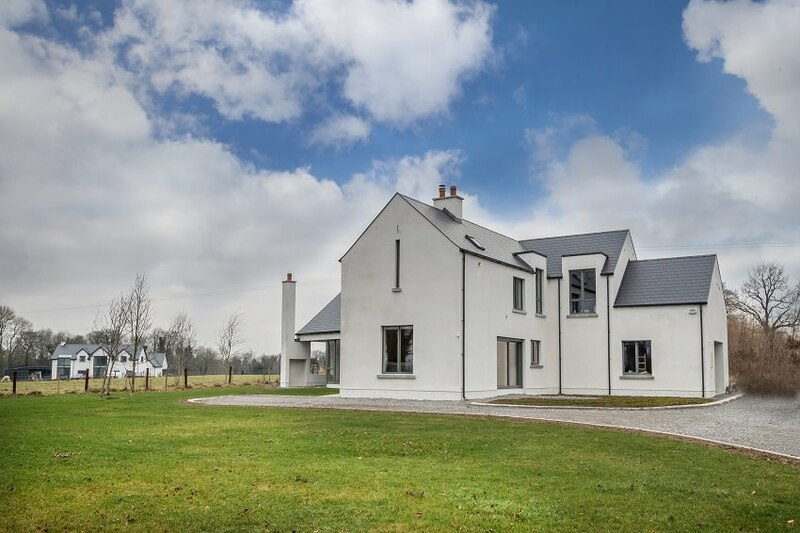 This design is also focused on creating a stylish and spacious family home which suits its landscape. 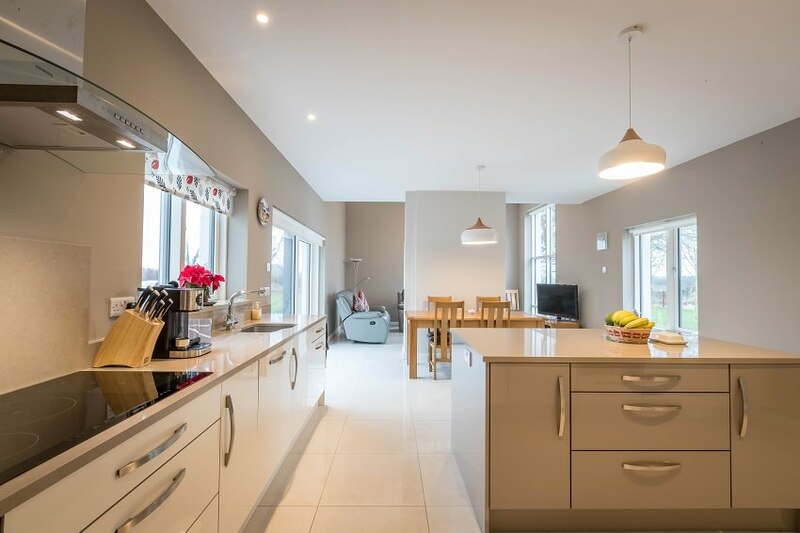 The end result is a bright, spacious and practical home. 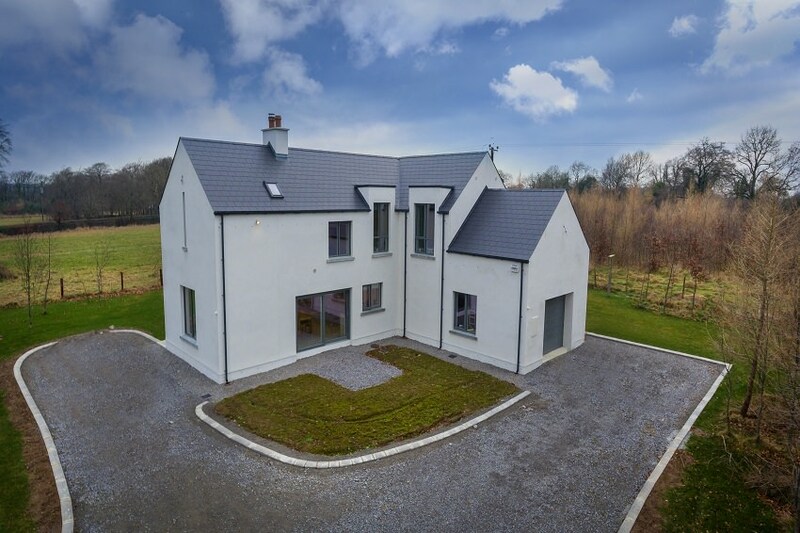 Planning consisted of a storey and a half house with an attached garage. 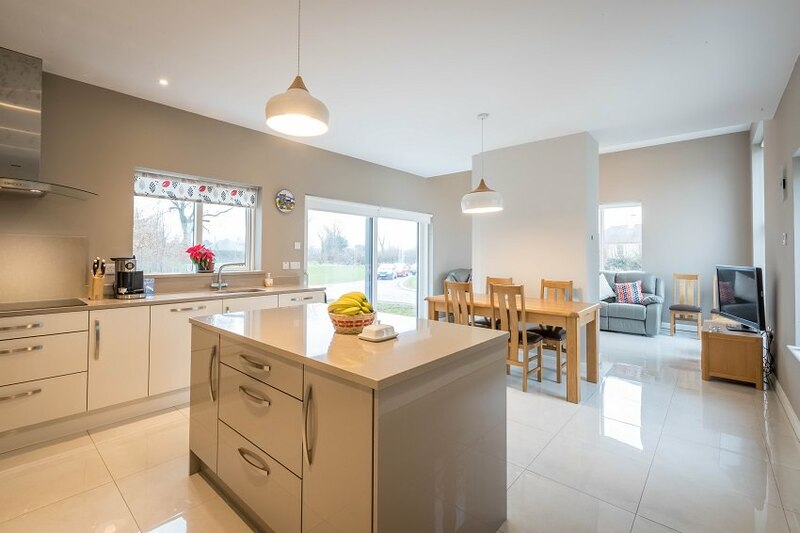 It consists of an open plan kitchen/lounge/dining area. 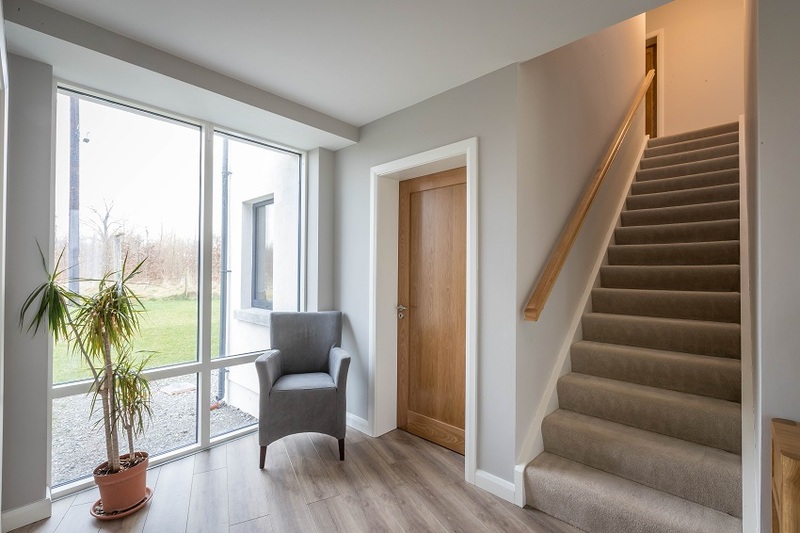 A chimney-breast partition in this room acts as a space definer. 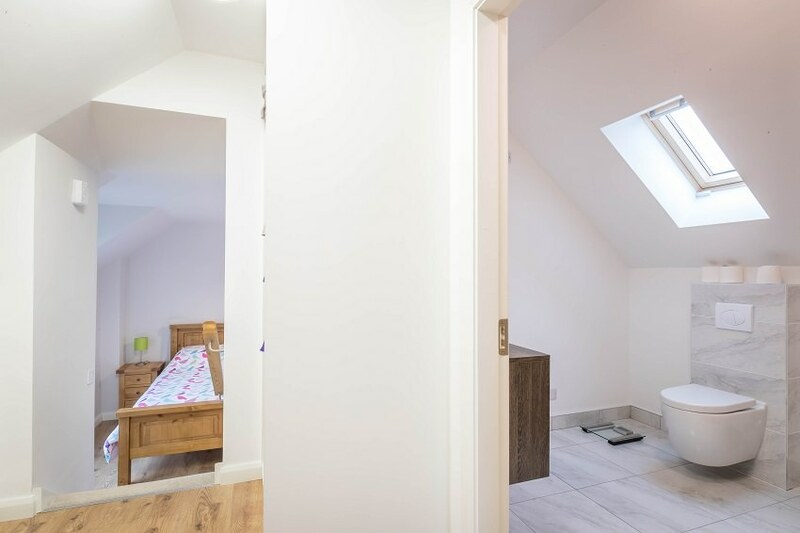 This layout allows for both social and more private spaces. 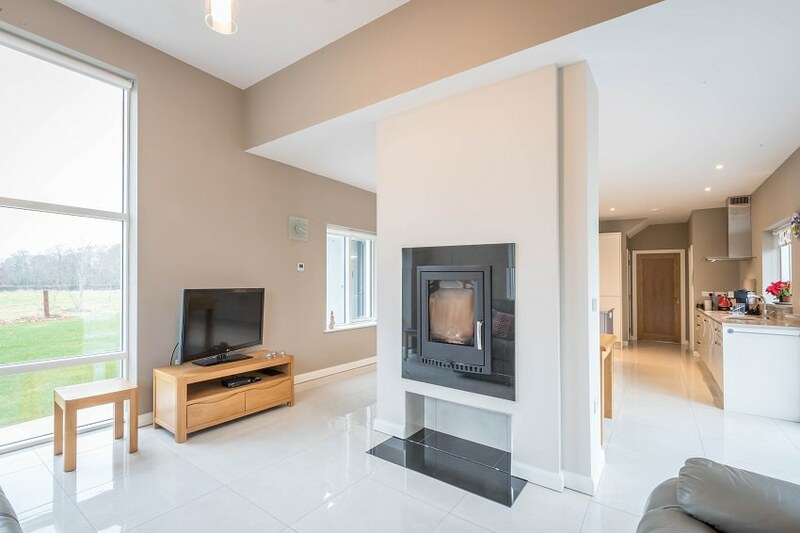 a covered outside room with a fireplace / bbq pit.